When I was seventeen, I didn´t know much about the world. It was time to leave high school and start higher education. But what would I choose? I liked math and and I liked science, so I decided to take the entrance exams for civil engineering, just like my brother had done. At least he already knew something about that world, I assumed. Did I listen to an inner voice? Was there even an inner voice or a strong will to reshape the world? No, not in my world. The weeks to follow became tough ones, filled with hesitation. Would “I” be “good enough” to pass the exams? We both passed the exams, and today I can look back at the 18 years we have spent together as a couple. Although we are divorced now, I never regret our time together. I never regret my choice to become an engineer, either. But I do see now that my “listening” at the age of seventeen had only an internal focus. “It” was for my own benefit, not for the world´s sake. I wasn´t a unique human being for some of those health care professionals. Just another patient–who had to be patient, since they had a lot to do. But I learned a lot during those tough years. And I still do. I started looking for ways to observe and listen to myself, to learn about myself and my behaviour in a given context. I used meditation, improvisation theatre and writing, among other techniques. And all three of these “ways of living” are still incorporated into my everyday life. They make me see the world around me. Listen to it. Get in contact with it. The “I” has acknowledged “a world.” I can see this world. And I can observe what happens when I interact with it. I can experiment with my behaviour and look at the consequences. And although the pain didn´t disappear, I am no longer fighting on my own. I see the world now. And I can be touched by its wonders. Writing has opened some extra dimensions of listening for me. When I left my former psychiatrist, I started writing poetry to have something to hold on to. Not with the intention to publish; it just came out as if someone else whispered the words in my hand. It became even clearer to me that practicing writing was magic when I started reading and exercising with Julia Cameron’s book The Artist´s Way. By freewriting three pages each morning, and by going on a solo trip for at least two hours every week, magic started to happen during composition. Sometimes when I was washing my dishes, inspiration came to me, and I felt the urge to take pen and paper to write down what was “given” to me. Not that it was ground-breaking material, but it was “truth” at that moment in time. Well, … I am still writing! Writing to me is listening to what the world has to say, and giving those words back to the world. Writing is my way of communicating and trying to understand the world. As I mentioned at the beginning of this article, at the age of seventeen I didn´t know the world that surrounds me. Nowadays, it seems the world wants to teach me something. And since I am a curious person, I listen. I listen to get inspired by the world. In a way, I listen with all my “sensors” open. That is the engineer talking. I do not only use my ears, I observe with my whole system. I am aware that I am part of the world. What happens outside of me influences me. This year, I decided to take an online course from the Massachusetts Institute of Technology’s “Leading from the emerging future.” Shortly after registering for the program, I encountered a project called Fit4Care in Belgium, where I live. It deploys the Theory U methodology described in the course I follow, and is funded by a European Social Funding Program (ESF). The aim is to look at and deal differently with stress, sickness absenteeism, and burn-out experienced by health care professionals. I applied for the program, and was accepted. The process we go through means a lot to me personally, and to the future I want to be part of. The future I want to co-create and re-shape with respect and love for Mother Earth. In Theory U, four levels of listening are described. Since I didn´t understand the description of the levels completely, I tried to make some definitions for myself. I describe the first level of listening as “what I hear is what I already know.” There is no sense of learning at that level. In fact, it correlates with the first part in this article: “My world is me.” The second level of listening is what I would call “wondering.” In that level, you step into the world to find an answer to the question, “What wants to be discovered?” That describes the moments you really start to see the world and its wonders–that is where the magic begins. I used this in my New Year’s wishes for 2017 and 2018: “Never stop wondering.” At least practicing this makes life more beautiful and gentle for me. The third level is what I would call “susceptible listening.” Oh, how would I have wanted those health care professionals to approach me that way. Maybe then they would have really felt the load in my words, the meaning of them, and I may have felt more human, more worthy for a while. Hopefully, in the near future, they will all learn to take the time and space to encounter every patient with the question, “How may this story move me.” Then they might give that back to the patient, human to human. At that level, you know that the world is you, and you are the world. At that level, you evaluate what you do in accordance with the impact that it has on the world. At that level, you care about Mother Earth, her sources and inhabitants. And you act accordingly, in a pure and natural way. Why should we grow in listening? To be honest, I am not always in level 4 listening. Depending on the context, time and energy I am in, I switch between the different levels. But the more important the values I encounter, the higher I rise in my listening level. The more I become a catalyst to help shape the future in a way that correlates with my values. Growing in listening is growing from ego- to eco-thinking. When I look at the environments I am active in at this moment, I see many egos. People whose only purpose seems to be to enrich themselves–not seldom in a financial way. Often in an “I am better than you” way. That hurts me. Not only because it is a narrow perspective, but also because they really seem to think that this way of living will truly make them happy. Some time ago, a reader of my blogposts wrote to me that I seem to be capable of opening people´s hearts when we encounter. Another person told me that I always seem to encounter such special persons, regarding the valuable stories. I do not believe that the people or stories I encounter are more special than those encountered by any other person every day. It just has to do with how I incorporate a healthy “curiosity” in my everyday life, instead of only activating it when I go on a holiday. And curiosity has nothing to do with age. Of course, young children have this natural hunger for learning, but I can also encounter curiosity in the eyes and smile of elderly people too. According to me, true happiness lies in discovering the candle in another human being, and expanding the flame without them knowing where it came from. At least that is true happiness to me. Every day. True listening gives birth to this kind of magic! 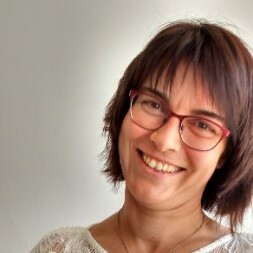 My name is Tanja Gouverneur, and I work on the HOPE-project (Recovery Support, Participation and Empowerment) at the Flemish Association for Mental Health in Flanders, Belgium. I have a degree in civil engineering. Experiencing mental health problems after giving birth to my oldest daughter changed my career, making me become a volunteer in the mental health sector. I soon became a listening activist on Linkedin, but experiencing astrong “push mode” on that platform, and other social media, made me decide to leave all social media platforms. My Dutch blog is my way of communicating to the world what matters to me. I love silence. It enables me to catch subtle signals, and refine my listening ability. In this article, I try to explain how listening is incorporated in my life. Tanja Gouverneur is a non-member of Global Listening Centre.